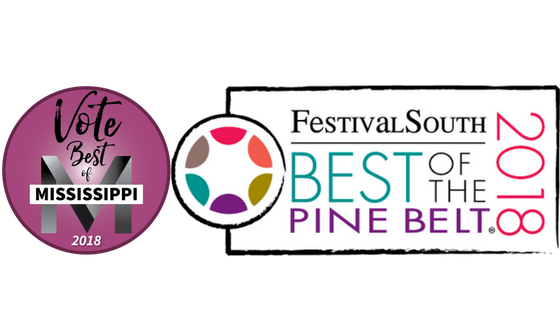 Voting for the Best of the Pine Belt and for the Best of Mississippi are both currently open. Help us celebrate the best of Jones County by voting in BOTH polls. It just takes a few minutes to submit your ballots online! Mississippi Magazine publishes an annual list of the Best of Mississippi — dining out, getting out, and seeking out . Laurel and Jones County businesses have been featured many times in the past and we hope to see even more representation this year! Vote for past honorees and new favorites from across our community to be featured as the Best of Mississippi. You must enter votes for a minimum of 20 categories and you can only submit one entry per e-mail address. Ready to vote for your favorites? Click here to access the online ballot for Best of Mississippi 2018. Voting is open until April 15th. 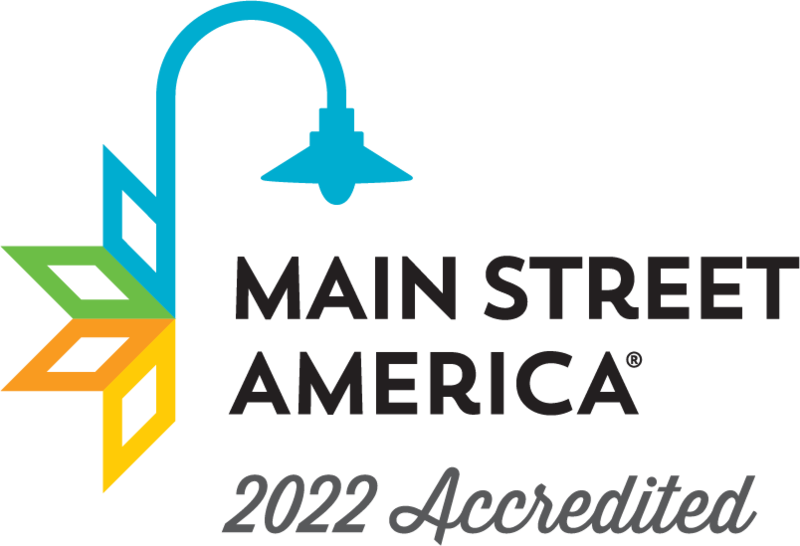 Festival South and Signature Magazine will announce the Best of the Pine Belt winners on June 2nd and there are many local businesses nominated. 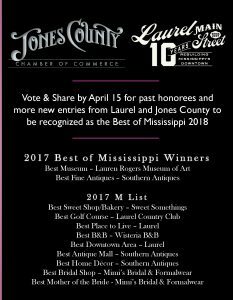 Look for these categories featuring Laurel/Jones County businesses: Best Bank, Best Men’s Clothing, Best Jewelry Store, Best Vintage/Antiques, Best Full-Service Bakery, Laurel’s Best Ambassador, Best Pine Belt Personality, Best Music Venue, Best Locally-Brewed Beers, Best BBQ, and Best Music Festival. You may vote ONCE A DAY until April 29th, so keep voting! Click here to access the online ballot and vote for Best of the Pine Belt 2018. Thank you for supporting our local businesses. We can’t wait to see who is recognized this year!